Manage multiple catalogs using database. Huge reduction of workload and stress of managing data. Centrally manage all pertinent data (images, price, specifications, etc.) Data cannot be lost so browsing and modifications are easy. Function is available to set privileges and permissions for editing, deleting or browsing by user. Better information management can reduce errors. Efficient management and control of all information! Catalog information management becomes increasingly complex with increasing number of pages and involved personnel. 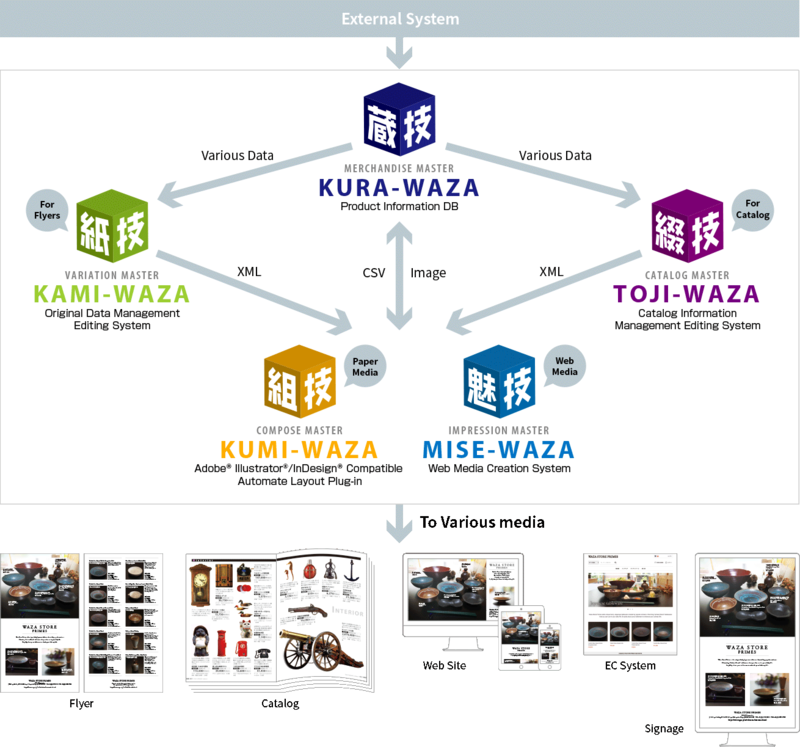 TOJI-WAZA can handle increased pages or production personnel by integrated control of the entire catalog contents. Replacing products, moving to another location or partial modifications are all very easy. Intuitive user interface allows for a smooth import of original data into the system. Existing data can be mass introduced as well. It is possible to create index according to the listed content, such as product name, price, material weight etc. Multiple types of information can be sorted out very nicely. 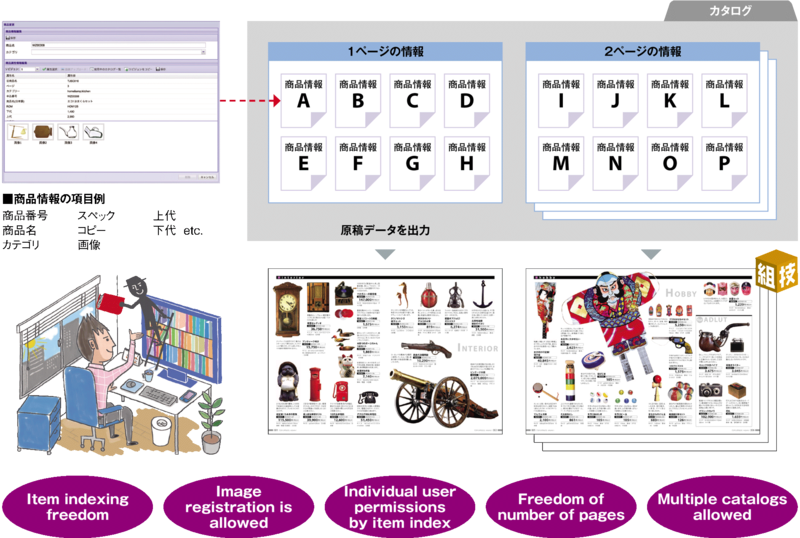 TOJI-WAZA server allows for registration of images in addition to text information. Mass upload is possible for image data for use in the production of catalog. 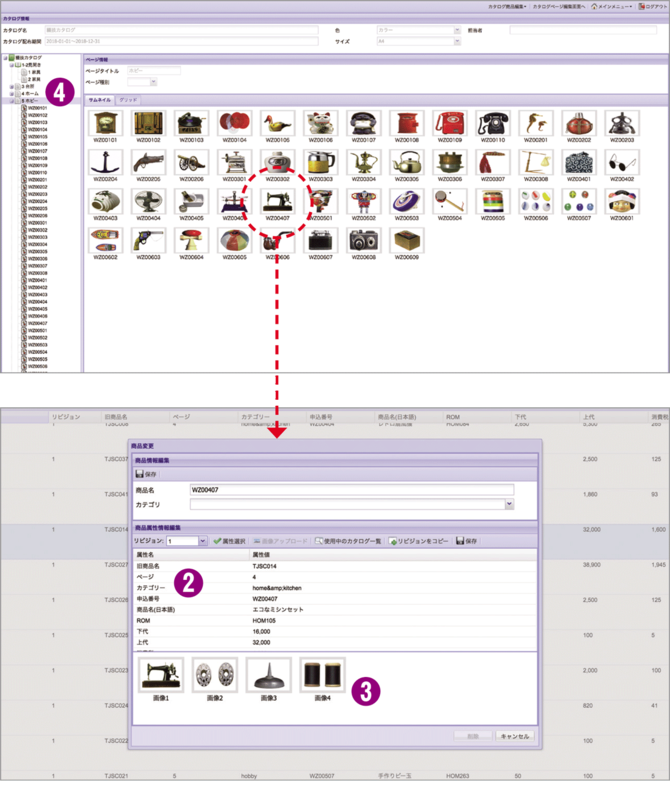 Each product is clearly displayed in a single page or in two facing pages. One benefit is the ability to easily find the information you are looking for. Let TOJI-WAZA handle the creation of Flat-plan for catalog. Edits such as page move, addition, deletion can be handled with ease. It is possible to set up privilege and permissions by each user, such as not allowing access to product cost information for external users. This assists in protection of information. WAZA series for easy media management and production support!! © 2019 WAZA Series All Rights Reserved.